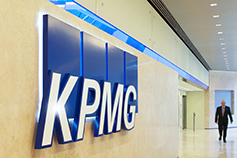 KPMG in Moldova is led by Ramona Jurubiță, our Country Mananging Partner. Our leadership and partners are responsible for setting the firm's strategy and overseeing its implementation. They regularly review areas of fundamental importance to the firm such as operating and financial performance, annual business plans and budgets, new business proposals, marketing, technology development, remuneration, and risk management policies.